National elections have local consequences. The President nominates Supreme Court justices. Supreme Court justices decide important cases. And sometimes those cases make a big difference at a very local level. Last week a federal trial court in Hawaii ruled in favor of A Place for Women in Waipio, a local pregnancy help center operated by Calvary Chapel in Waipahu, Hawaii. The court ruled that the pregnancy center does not have to obey a Hawaii law that would have forced it to advertise for the abortion industry. The ruling is a direct result of the major pro-life victory in NIFLA v. Becerra at the U.S. Supreme Court earlier this year. Hawaii has public programs that provide immediate free or low-cost access to comprehensive family planning services, including, but not limited to, all FDA-approved methods of contraception and pregnancy-related services for eligible women. To apply online for medical insurance coverage, that will cover the full range of family planning and prenatal care services, go to mybenefits.hawaii.gov. The case is Calvary Chapel Pearl Harbor v. Suzuki, No. 1:17-cv-00326 in the U.S. District Court for the District of Hawaii. The following quotes come from the complaint filed in the case by plaintiffs. When Hawaii passed the law in question, the national public interest law firm Alliance Defending Freedom (“ADF”) rode to the defense. On the same day the Hawaii anti-life law took effect, July 12, 2017, ADF filed a federal lawsuit on behalf of Calvary Chapel as well as National Institute of Family and Life Advocates (NIFLA), a national pregnancy center membership organization with five member centers in Hawaii. At the same time ADF attorneys were fighting for Calvary Chapel in Hawaii, they were also fighting another pro-life battle nearly 5,000 miles away in Washington, D.C., this one at the U.S. Supreme Court. On March 20 of 2017, ADF had filed a petition for a writ of certiorari asking the U.S. Supreme Court to reverse a ruling against pregnancy centers in California. That case was titled National Institute of Family and Life Advocates v. Becerra and involved an anti-pregnancy-center law similar to the anti-pregnancy-center law in Hawaii. On November 13 of 2017, the Supreme Court announced it would hear the California case. That announcement had an immediate effect on the Hawaii case. On the same day that the Supreme Court granted review in the California case, the Hawaii court—citing the “similarities of the statute and issue to be considered” in each case—issued a stay pending a final decision by the Supreme Court in the California case. In the California case, Charlotte Lozier Institute filed two amicus briefs at the Supreme Court, one in support of the Court taking the case and one, after the Court took the case, urging the court to rule in favor or pregnancy help centers. On June 26, 2018, the Supreme Court issued an opinion in the California case, ruling in favor of pregnancy help centers. Nearly three months later, the parties in the Hawaii case reached a voluntary and mutual agreement that the Hawaii law should be found to violate the Free Speech rights of the plaintiffs in the case. One day after the parties submitted their stipulation to the Hawaii district court, the court issued a ruling in favor of Calvary Chapel and NIFLA, holding that the Hawaii law violated the federal constitutional free speech rights of the plaintiffs. The Hawaii court expressly stated it was issuing its order in the light of the Supreme Court’s ruling in the California NIFLA case and the subsequent voluntary agreement reached by the parties in the Hawaii case. The Hawaii case reminds that national-level elections and legal battles have local consequences. The case also reminds that, in today’s hostile political climate, local pro-life pregnancy centers need the vital legal assistance provided by top-shelf powerhouses such as ADF. In the end, however, the struggle is not about lawsuits and legal victories. It’s about the public value we place on the inviolable dignity of human life, a sacred precept of any free and civilized society. In the struggle to uphold human dignity, pregnancy help centers work on the front lines, turning ideals of love and generosity into concrete actions and support at a time when many mothers need it the most. 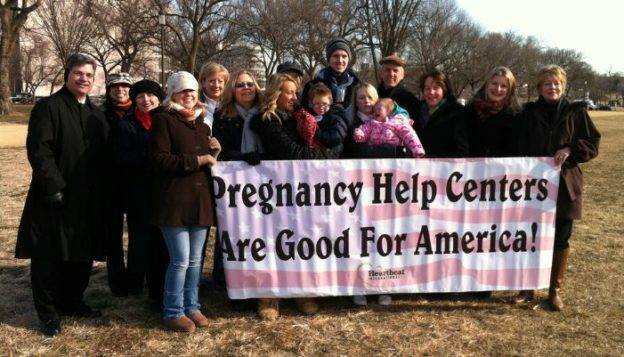 Pregnancy help centers deserve continued support from every person of good will, no matter their view on abortion. The results of CLI’s new landmark report on the achievements of U.S. pregnancy centers has just been published. A Half Century of Hope, A Legacy of Life and Love commemorates 50 years of life-saving and life-changing pregnancy center outreach. This 80-page report from the Charlotte Lozier Institute represents the third edition of the pregnancy center service reports titled A Passion to Serve, published by Family Research Council in 2009 and 2011. Access it here.